Ashley Moody and Frank White are bashing each other with ads. In the increasingly bitter Republican primary for attorney general, Ashely Moody and Frank White have both put out new attack ads against each other – Moody using Florida sheriffs to question White's qualifications, and White continuing his attacks on Moody for having sued Donald Trump over a Tampa real estate deal. In the Moody ad, eight Republican sheriffs who back Moody, including Polk County Sheriff Grady Judd, bash White as "a car salesman turned politician" who has "never prosecuted a case." Polk County Sheriff Grady Judd: "Defend the Constitution." Franklin County Sheriff A.J. Smith: "Lock up criminals." 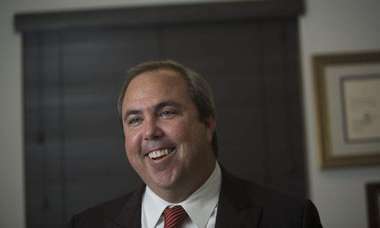 Seminole County Sheriff Dennis Lemma: "That's the job of our Attorney General. Prosecutor Ashley Moody's done it." Clay County Sheriff Darryl Daniels: "Politician Frank White hasn't." Bradford County Sheriff Gordon Smith: "White's lying about Moody's record." Monroe County Sheriff Rick Ramsay: "To hide his." Hardee County Sheriff Arnold Lanier: "White's never prosecuted a case." Jacksonville County Sheriff Mike Williams: "Not one." Lemma: "White's a car salesman turned politician whose old firm gave thousands to liberals." Judd: "Ashley Moody's the real conservative." Narrator: "Pro-life — pro Second Amendment — endorsed by Pam Bondi — stands with Trump." Judd: "We trust Ashley Moody—so can you." White, a Pensacola state House member originally from Texas, worked at a law firm there before moving to Florida eight years ago and becoming general counsel and chief financial officer at a chain of car dealerships owned by his wife's family. "Thousands to liberals" refers to contributions by his law firm's political committee. The ad refers to Moody as "prosecutor Ashley Moody," even though she spent only two years as a federal prosecutor and was a Hillsborough circuit judge from 2006-17. 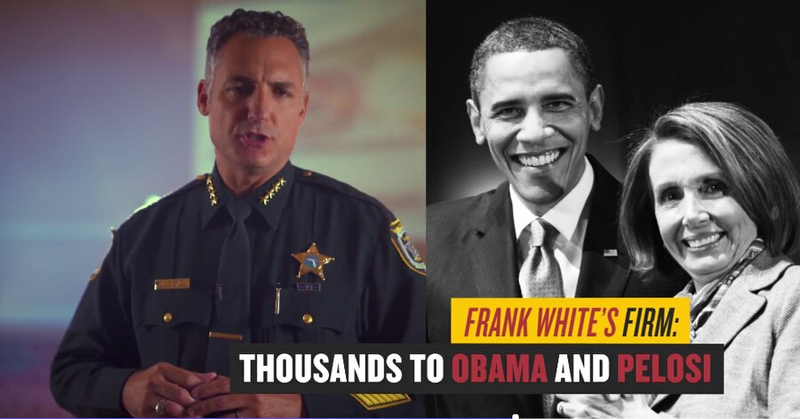 White campaign spokeswoman Erin Isaac said the ad makes "no substantial attack" on White, and, "While it's nice of Ashley Moody's friends to try to help her failing campaign, it's doubtful that even some of Florida's greatest sheriffs can help her climb out of the double-digit hole she's in," referring to polls in the race. Narrator: "Ashley Moody personally sued Donald Trump for fraud. Your heard that right, Ashley Moody sued Donald Trump for fraud. "Now she wants to be our Republican Attorney General. How could we ever trust her? "Ashley Moody was a lifelong Democrat siding with pro-abortion liberals. And Moody's fraud lawsuit against President Trump helped Hillary Clinton." Clinton, shown speaking at a rally: "Donald Trump Himself is a fraud." Narrator: "We can't trust Ashley Moody to be our Attorney General when she sued President Trump. In 2009, Moody and members of her family were among about 50 individuals suing Trump over the failed Trump Tower Tampa project, seeking return of deposits they had paid on condos in the tower. They alleged Trump committed fraud by publicly misrepresented himself as an owner of the project when he had actually merely sold the developer the right to use his name. They received a settlement in 2011. Moody says the issue doesn't affect her "wholehearted support" for Trump. Campaign spokeswoman Christina Johnson said the "lifelong Democrat" accusation is "a bold-faced lie." Moody, 43, registered as a Democrat at age 18 and switched to Republican at age 22. 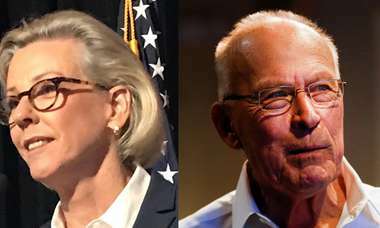 "Siding with pro-abortion liberals" refers to a $100 contribution Moody made to the late Bill McBride of Tampa for governor, who had just hired her for her first job as a lawyer at the firm he then managed, Holland&Knight. Johnson called the ad "reprehensible."